Snapshot – Dilip Chhabria (DC) is an ace automotive designer from India, a man whose car designs evoke love and hate in equal measure. For every lovely design that comes out from DC’s studio, you have a bunch of cringe inducers, like these. Recently, we rounded up 5 good designs from DC Design, and just when you thought that DC is churning out more lovelies than uglies, you’ve got to think again. 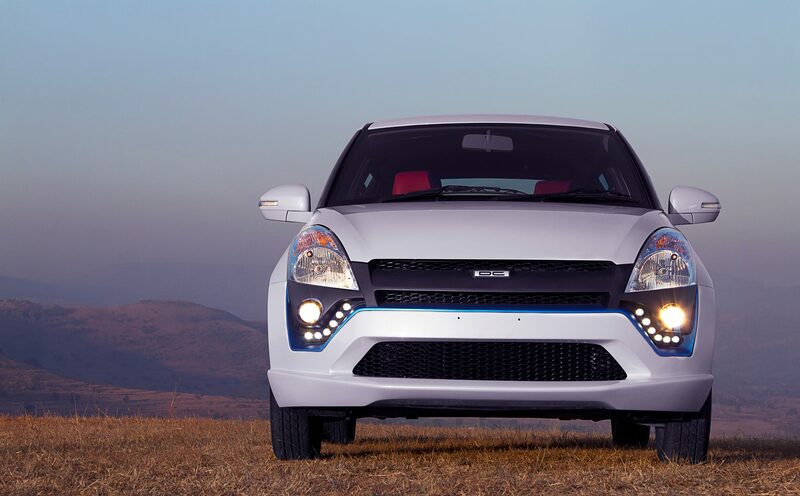 Here are 10 cars from DC Design that, for the want of a better word look, ghastly. The Hindustan Ambassador’s lines are timeless, and the grand old lady of Indian motoring never seems to age. 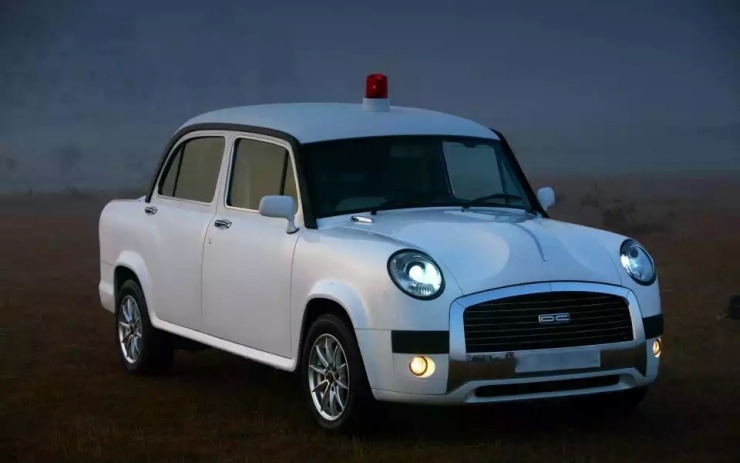 Hindustan Motors mucked around a little with the Avigo edition, which was taken to its Nadir by DC Design. We love the interiors though, sofa-like, opulent and perfect for the scheming Netas’ backsides. The Maruti Suzuki Swift took its time to get accepted by the masses and once they did, the car, which vaguely resembles the Mini Cooper, never looked back. 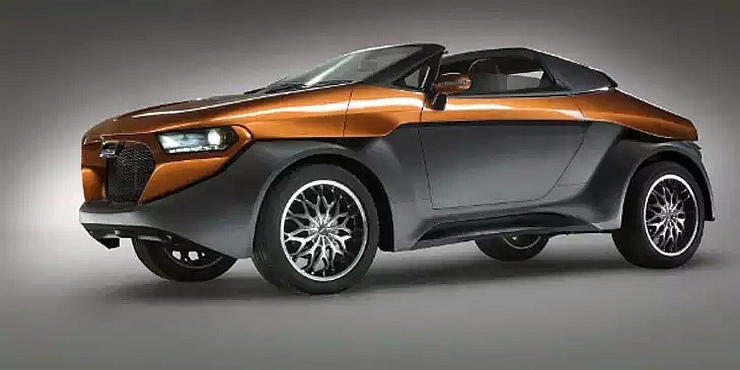 DC Design’s work on the Swift has been less than impressive. Here’s the second abomination. Reva Electric, now Mahindra Reva, always sucked at putting together a lovely looking electric car. 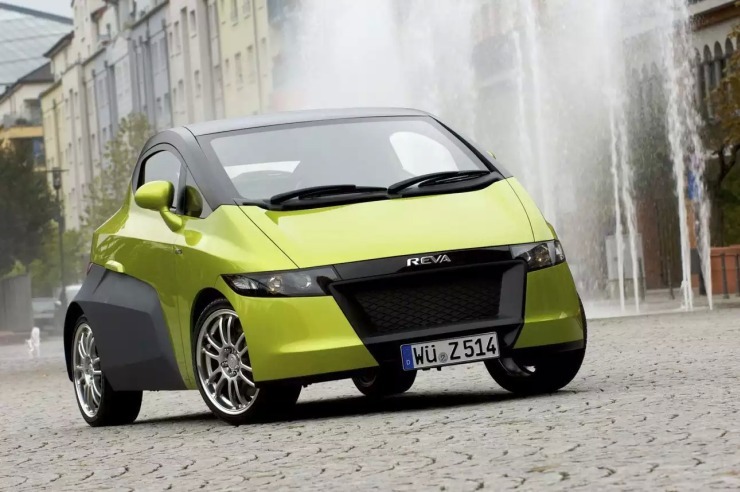 We have had uglies such as the Reva i, followed up by the E2O. Thankfully, the NXG is just a concept, for the electric car went under DC Design’s scalpel to come out looking, well confused. Red lipstick can kill, in a figurative sense. 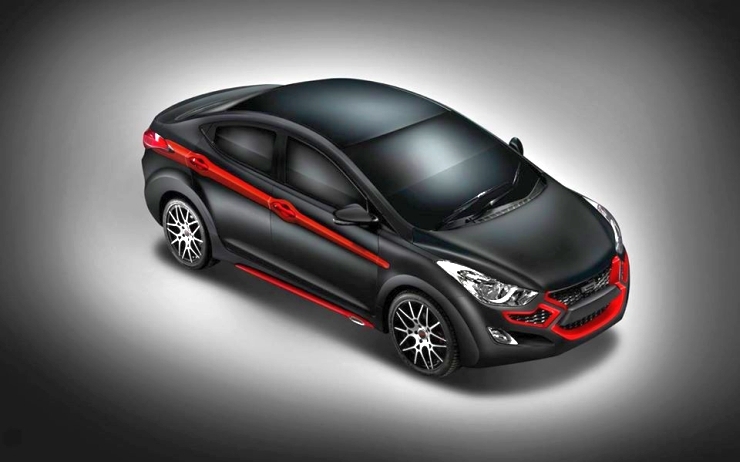 On the DC modified Hyundai Elantra, the figurative crosses over to the literal. Red lipstick has killed the Elantra, which otherwise is one of the better looking Hyundai cars in town. Toyota has succeeded in making successive generations of the best selling Innova worse looking than the previous ones. DC Design hates watching from the sidelines. 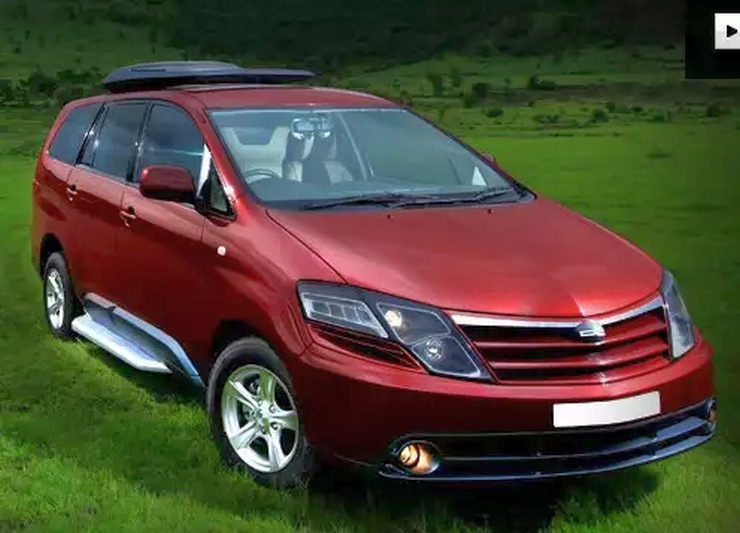 The design outfit has now joined Toyota to give the Innova a round of bad aesthetics. 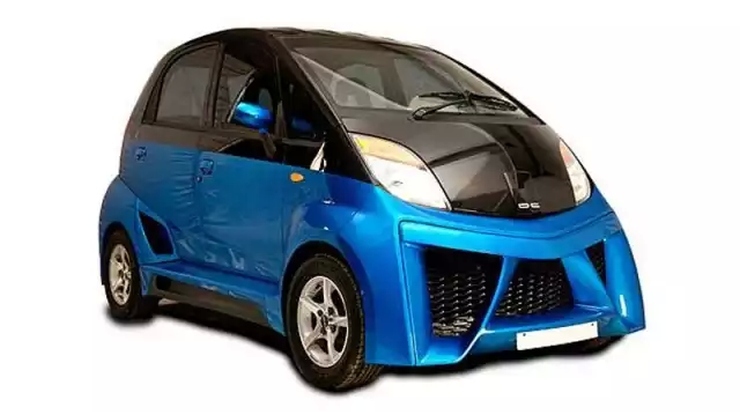 The Tata Nano was one of the best car designs to come out of India, until the DC Nano happened. Unlike the Mahindras, the Tatas have a sense of proportion when it comes to the way their cars look. With that, the DC Nano remained a fry in the pan, wholly and thankfully ignored by Tata Motors Limited. 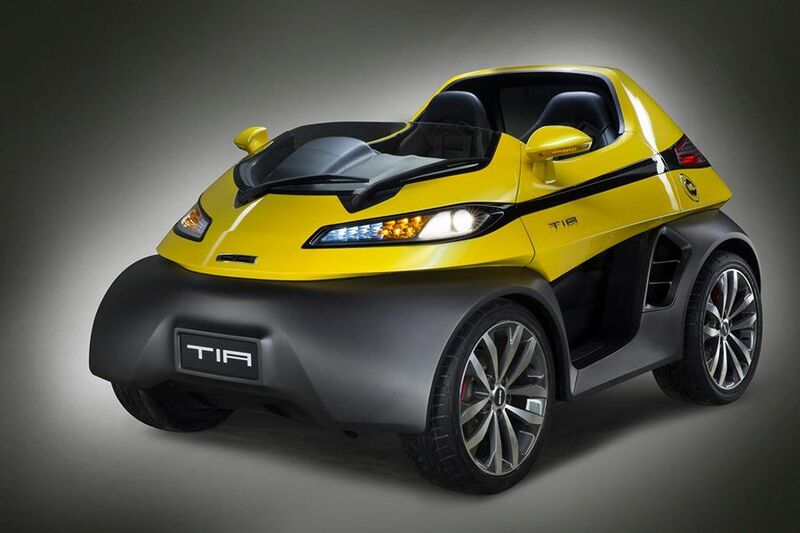 More of a toy than a car when it comes to looks, the DC Tia was a urban runabout that made it to the show floor at the 2012 Indian Auto Expo. A production run was envisaged, which hasn’t come to fruition yet. Many automotive enthusiasts would be hoping that this thing never gets made. DC Design and open-top SUVs just don’t go well. We had the cringe inducing Circa, and then the timeless Jeep lines were juxtaposed into something groteqsue with the DC Thar. The Eleron concept SUV, another vehicle that could have a production run, continues this misadventure. The Toyota Fortuner’s butch lines and imposing girth make for a commanding street presence. 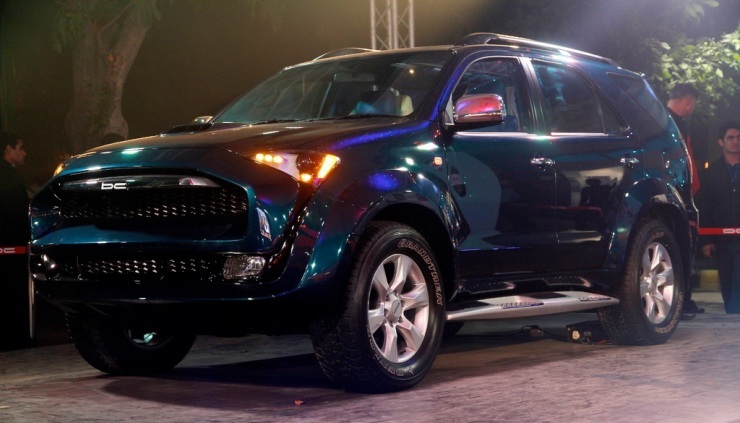 The Fortuner was never an SUV that was meant to scare kids silly though. The one that’s been done up by DC Design aims to do just that. The Mini Cooper’s Convertible version, usually favoured by the ladies, is one of those cars that can carry off hot pink comfortably. 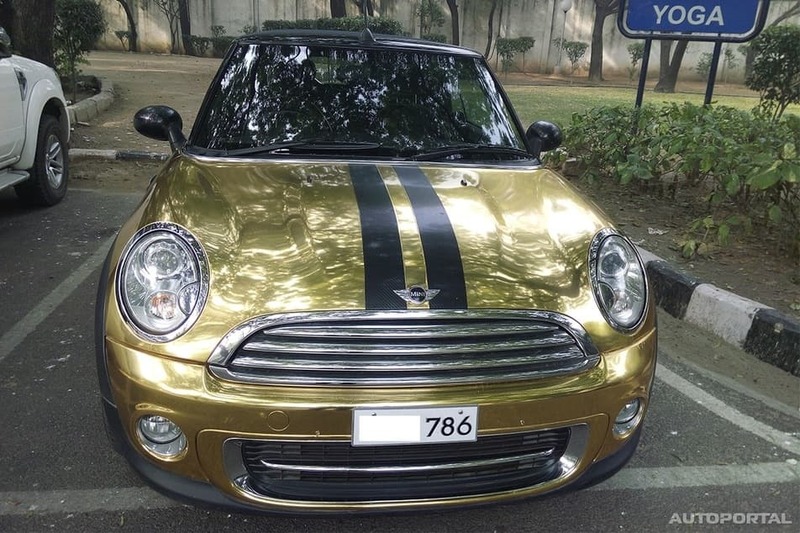 A gold wrapped Mini Cooper S Convertible? 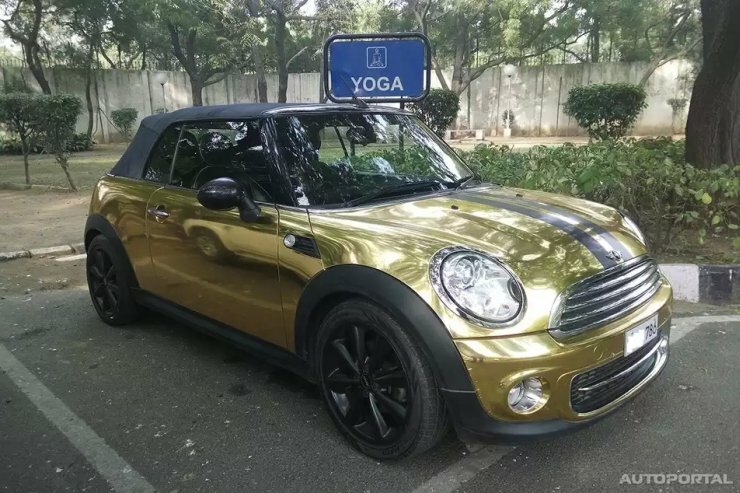 Well, this custom wrap seems inspired more by Indians’ love for the yellow metal. Epic fail, in our books. Whodunit? DC Design, of course.